New papers from the past week on the interactions between humans, buildings, and microbes. The International Space Station (ISS) is a huge manned construct located approximately 400 km above the earth and is inhabited by astronauts performing space experiments. Because the station is within a closed microgravity environment, the astronauts are subject to consistent stress. 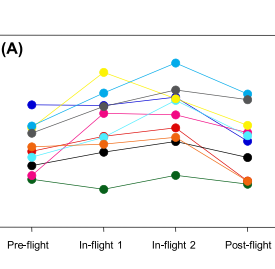 This study analyzed the temporal changes in the skin fungal microbiota of 10 astronauts using pyrosequencing and quantitative PCR assay before, during, and after their stay in the ISS. (…) Fungal diversity was reduced, and the ratio of Malassezia to all fungal colonization increased during the astronauts’ stay at the ISS. 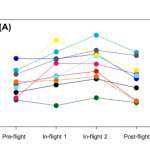 The ascomycetous yeast Cyberlindnera jadinii was detected in abundance in the in-flight sample of 5 of the 10 astronauts. The microorganism may have incidentally adhered to the skin during the preflight period and persisted on the skin thereafter. This observation suggests the ability of a specific or uncommon microorganism to proliferate in a closed environment. Our study is the first to reveal temporal changes in the skin fungal microbiota of ISS astronauts. These findings will provide information useful for maintaining the health of astronauts staying in the space environment for long periods and for preventing infection due to the human skin microbiota. 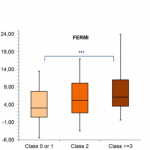 The environmental relative moldiness index (ERMI) metric was previously developed to quantify mold contamination in U.S. homes. This study determined the applicability of the ERMI for quantifying mold and moisture damage in Finnish residences. 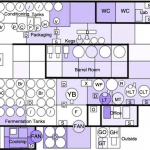 Homes of the LUKAS2 birth cohort in Finland were visually inspected for moisture damage and mold, and vacuumed floor dust samples were collected. An ERMI analysis including 36 mold-specific quantitative PCR assays was performed on the dust samples (n = 144), and the ERMI metric was analyzed against inspection-based observations of moisture damage and mold. Our results show that the ERMI was significantly associated with certain observations of visible mold in Finnish homes but not with moisture damage. (…) As shown in Finland, the ERMI as such is not equally well usable in different climates and geographic regions but may be remodeled to account for local outdoor and indoor fungal conditions as well as for moisture damage characteristics in a given country. Bacteria, viruses, and parasites are everywhere, but public spaces especially can be a haven for them. We assessed bacteria levels in colony-forming units (CFUs) — the number of viable bacteria cells within a sample. In our average of all nine hotel room surfaces tested, these often-touched surfaces ranked as follows: 1. Bathroom counter — 1,288,817 CFU/sq. in. 2. Remote control — 1,211,687 CFU/sq. in. 3. Desk — 604,907 CFU/sq. in. 4. Phone — 4,252 CFU/sq. in. (…) Interestingly, for our study, the three-star hotels appear the least germ-ridden. For instance, the dirtiest surface in a three-star hotel room, the bathroom counter contained an average of only 320,000 CFU/sq. in. — around eight times less than a four-star hotel room and three times fewer than a five-star hotel room. High-throughput, ‘next-generation’ sequencing tools offer many exciting new possibilities for food research. From investigating microbial dynamics within food fermentations to the ecosystem of the food-processing built environment, amplicon sequencing, metagenomics, and transcriptomics present novel applications for exploring microbial communities in, on, and around our foods. 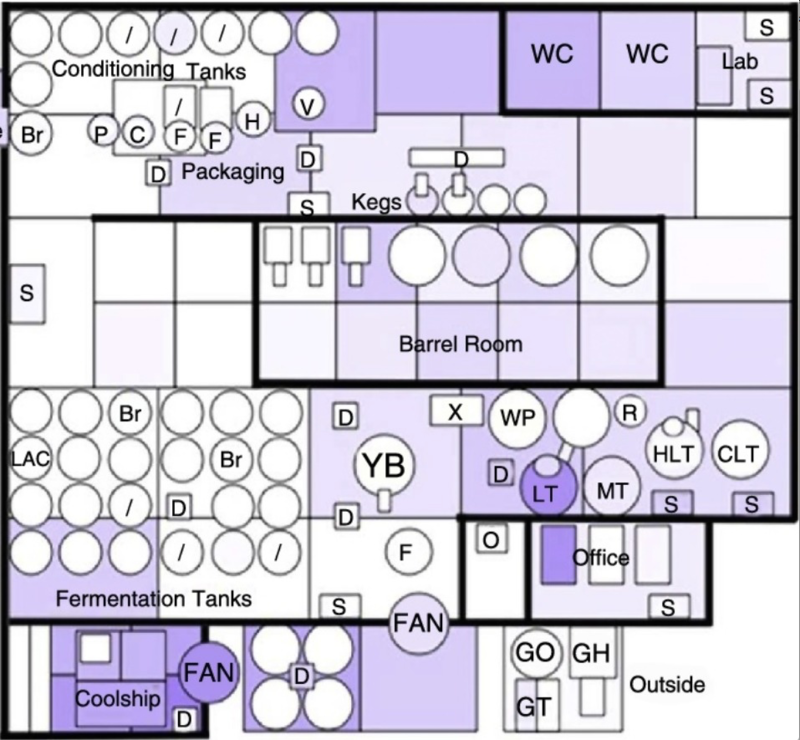 This review discusses the many uses of these tools for food-related and food facility-related research and highlights where they may yield nuanced insight into the microbial world of food production systems. One of the UN sustainable development goals is to achieve universal access to safe and affordable drinking water by 2030. It is locations like Kathmandu, Nepal, a densely populated city in South Asia with endemic typhoid fever, where this goal is most pertinent. 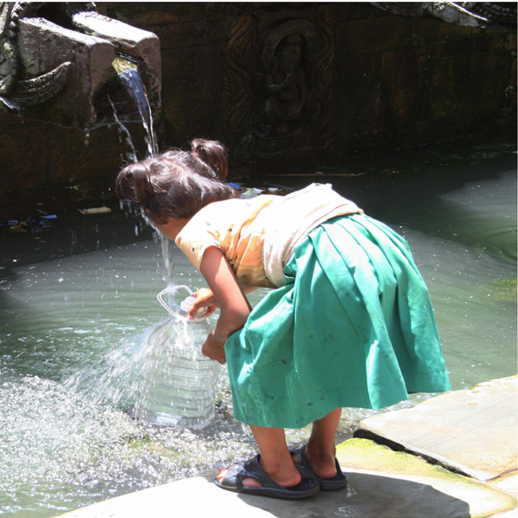 Aiming to understand the public health implications of water quality in Kathmandu we subjected weekly water samples from 10 sources for one year to a range of chemical and bacteriological analyses. We additionally aimed to detect the etiological agents of typhoid fever and longitudinally assess microbial diversity by 16S rRNA gene surveying. We found that the majority of water sources exhibited chemical and bacterial contamination exceeding WHO guidelines. (…) This study represents the first extensive spatiotemporal investigation of water pollution in an endemic typhoid fever setting and implicates highly localized human waste as the major contributor to poor water quality in the Kathmandu Valley. 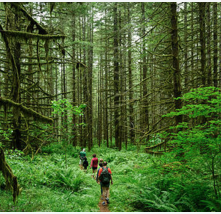 Recent advances in research concerning the public health value of natural environments have been remarkable. The growing interest in this topic (often housed under terms such as green and/or blue space) has been occurring in parallel with the microbiome revolution and an increased use of remote sensing technology in public health. In the context of biodiversity loss, rapid urbanization, and alarming rates of global non-communicable diseases (many associated with chronic, low-grade inflammation), discussions of natural vis-a-vis built environments are not merely fodder for intellectual curiosity. Here, we argue for increased interdisciplinary collaboration with the aim of better understanding the mechanisms–including aerobiological and epigenetic–that might help explain some of the noted positive health outcomes. It is our contention that some of these mechanisms are related to ecodiversity (i.e., the sum of biodiversity and geodiversity, including biotic and abiotic constituents). 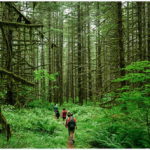 We also encourage researchers to more closely examine individual nature relatedness and how it might influence many outcomes that are at the interface of lifestyle habits and contact with ecodiversity.